he expeditions led by Frobisher were more challenging and dangerous than we can appreciate today. Not for nothing did Queen Elizabeth name the region where the first expedition halted "The unknown shore", for far less was known about that part of the world than was known about the Moon when astronauts first set foot there. The shape and extent of the so-called "New World", particularly the northern parts, were poorly understood. There were legends and conjecture about a northwestern route around that obstacle separating Atlantic and Pacific, but its cartographic depiction was sketchy, theoretical, and unreliable. England itself had no mapmaking tradition and relied on foreign maps and globes. Their high cost meant that few Englishmen had any education in geography; Michael Lok was an exception. The maps used by Frobisher were probably those produced in the years immediately preceding his first voyage, by Mercator (itself based partly on an earlier map by Zeno) and Ortelius. As well, one was drafted specifically for the first voyage by William Borough, to compile all of what was known - or surmised - about the North Atlantic; blank parts were to be filled in by Frobisher or Hall as positional readings were taken. Few Englishmen had sailed beyond European coastal waters. It was the Spanish and Portuguese who had oceanic experience and a superiority in maritime technology, and they who had addressed navigational challenges by finding a scientific way to calculate latitude. However, in stormy or misty northern waters, the necessary observations could be difficult to obtain. Accurate determination of longitude remained beyond the abilities of sixteenth-century science. This made it almost impossible to plot an accurate course on a voyage to the northwest, crossing lines of longitude. Even to estimate a ship's position it was necessary to make careful and repeated measurements of direction (determined by compass, but subject to magnetic variation) and ship's speed; speed itself was difficult to measure, navigators having little understanding of the effects of ocean currents, which could slow or accelerate ships. The process must have been especially difficult in rough seas or poor weather. The potential for error was great. Much depended on the skill and experience of ships' pilots and intelligent improvisation in conditions of uncertainty. Nor were English ships, although sturdy and well-built, designed for the stormy and ice-laden waters of the Arctic. The low losses in vessels on the three voyages is testament to the skills and courage of their crews. The ships' hulls were not reinforced against floating ice; crews hung planks, bedding or other materials over the sides as improvised protection, and fended off sharp ice floes using oars, pikes and poles. 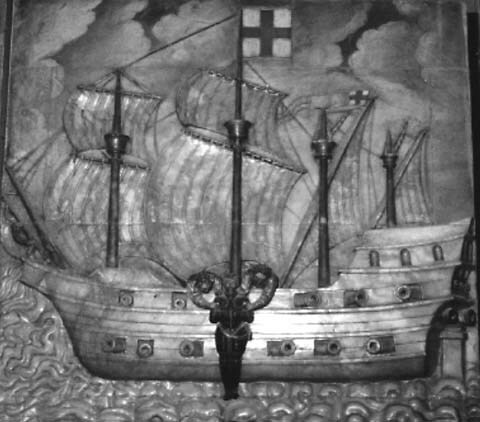 In 1576 the Gabriel was knocked on its side by a fierce storm; only quick action by its crew enabled it to be righted. The following year the same ship's master and boatswain were washed overboard (despite chest-high safety ropes rigged around the ship), and the Aid's rudder broke, forcing sailors to dive into the freezing waters to carry out repairs. 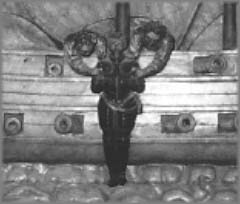 In 1578 some ships were temporarily trapped in the ice and their internal timbers snapped under the strain. Had the ships sunk, their crews would not have survived long in the cold, turbulent waters. It was at that time that the Dennis was holed by an iceberg; fortunately its crew was rescued before the ship sank. The crews must frequently have been exhausted by the physical hardships and psychological stress of the voyages. Nor was there opportunity to rest upon reaching landfall, for arduous work was then required in mining ore from rocky and frozen ground and loading it onto the ships. In this situation the lack of experience in mounting Arctic expeditions again had an effect: the victualling of the expeditions took into account daily requirements in terms of health and energy needs, but the diet was inadequate for the overwhelming physical demands and harsh environmental conditions. On the third voyage, victuals were lost when poorly-stowed casks were damaged during storms and when one ship lost courage and fled back to England, taking a large portion of the expedition's supplies. Fewer than 10% of the participants died on that voyage, although many more returned to England crippled from the back-breaking labours, injured through frostbite, or ill with scurvy. Given the dangers involved in sending hundreds of men on a trans-Atlantic journey, in what were by modern standards small wooden vessels, with imperfect navigational techniques and little knowledge of where precisely they were headed or what conditions they would find upon arrival, it is a credit to the abilities of the crews - not least Frobisher's personal courage and leadership - that the fleets survived the experience and returned home.